As the Executive Director of Ghostlight Theatre Ensemble, Nancy Torres is proud to dedicate her time to “keepin’ the light on” live theater in Far East County. 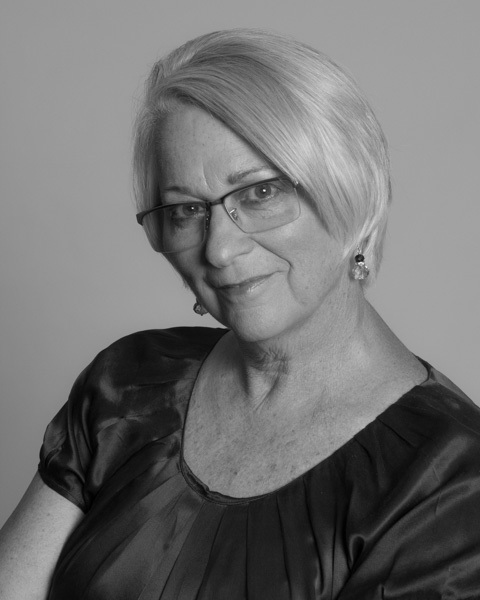 In the 1980s and 90s, Nancy served as the Artistic Director for Brentwood Community Theatre, and when she wasn’t directing shows, Nancy enjoyed performing on stage. Favorite roles include Margo in Applause, Mame in Mame, Miss Hannigan in Annie, and Mama Rose in Gypsy. During the summers, she directed BCT’s Performing Arts Academy for student actors. When BCT disbanded, Nancy enjoyed performing in Walnut Creek for Contra Costa Musical Theatre. She also dedicated her time to performing in “Celebration for Life” benefit shows held at the Regional Center for the Arts. Encouraged to abandon her 12-year self-imposed hiatus from theater by Shara Main, Nancy agreed to direct Brentwood Theater Company’s production of Oliver! in summer 2016 and was reminded of how important the arts are to the local community. A love of Gershwin music led Nancy to co-direct Crazy for You with Shara in Summer, 2017. Nancy holds Bachelor's and Master's Degrees in Speech Pathology from Kansas State University, and an Educational Administrative Credential from California State University, Hayward. She has spent most of her 40-year career working with East Contra Costa Schools and Programs, working as a Speech Pathologist, Special Day Class Teacher, Early Intervention Therapist, Special Education Administrator and Educational Consultant, while participating in community theatre and singing in choirs along the way. Today, Nancy is on the Board for WORKING WONDERS, a non-profit organization serving adults with developmental disabilities who reside in the Brentwood area, providing work-related opportunities, personal growth, independence and social interaction. She also volunteers with Kaleidoscope Cancer Connection, a non-profit that provides services, connection and support to those living with cancer in our local communities. She also sings in the Brentwood Community Chorus, and enjoys her role as “Nana” to her 3 grandchildren. Encouraging them to sing, dance and act is her greatest joy! Nancy was named an Exemplary Special Educator by the California Council of Exceptional Children, and was recognized for Outstanding Effort in Special Education by the Developmental Disabilities Council. She was named a Soroptimist Woman of Distinction, and was a recipient of the Mil Gracias Award by the John F. Kennedy Committee. She was the First Runner-Up for Brentwood Citizen of the Year, primarily for serving as the Artistic Director of Brentwood Community Theater.